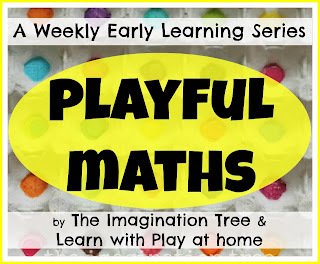 Last week I shared Plastic Bottle Number Bowling. 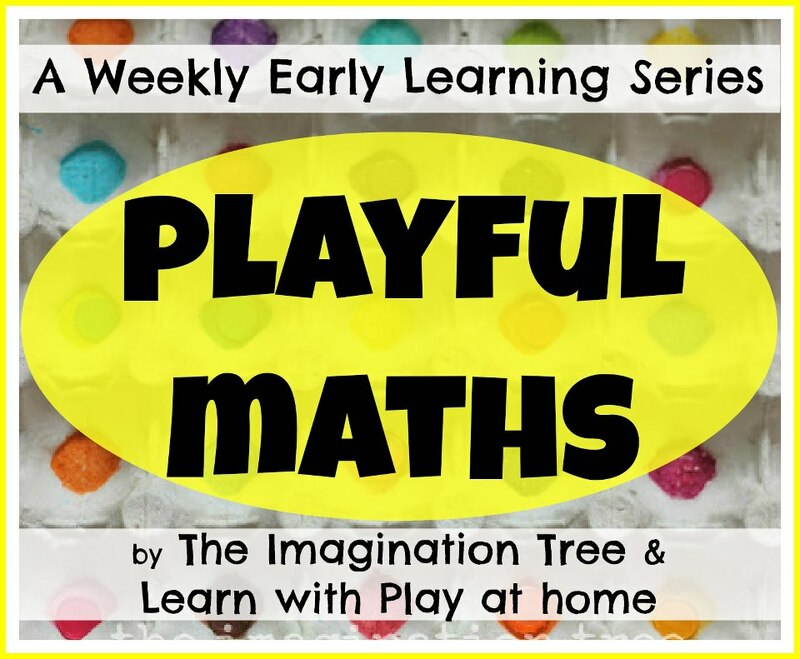 This week we bring you another 2 Playful Maths Activities using Plastic Bottles. 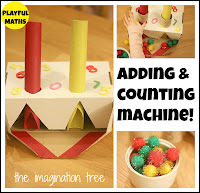 Today's activity from us focuses on "Measuring, Comparing and Estimating"
This activity also includes counting, pouring, fine-motor practice, hand-eye coordination practice, sensory experience, language development and imagination. Materials: 2 Plastic Bottles (one with a handle), scissors, marker. We used a milk bottle for the scoop. Our milk bottles are made from quite a soft, flexible plastic which makes a great scoop. It spreads wide for easy scooping but when tipped back holds the rice in very easily. If you want, you can then also use the scoop as a funnel, simply unscrew the lid! 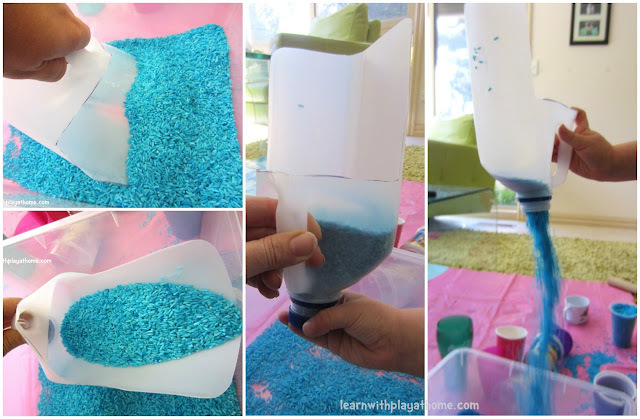 Cut around the top of a bottle to make a funnel. Materials: Coloured Rice tub (or whatever you're using for measurement. eg flour, salt, water for capacity etc), Plastic Bottle Tools (see above), 1 cup measuring cup, variety of plastic cups. We filled up a 1 cup measuring cup and I asked where she thought one cup of rice would fill the bottle to? She estimated and then we checked. Filling the measuring cup and then seeing where the rice fills up to. and then she had to check to make sure they would hold the same amount. I encouraged her to test some of her plastic cups to see if they held the same amount as the measuring cup, more than or less than the measuring cup? I encouraged her to guess first and then test to see if she was right. This cup was smaller than the measuring cup. This cup was larger than the measuring cup. It could hold more rice. We talked about using measuring when we cook. What might happen if we were making cookies that asked for 1 cup of flour. Could we use any cup or should we use a measuring cup? We looked at all the cups and talked about which one might hold the same amount as the measuring cup. This involved making inferences and estimation based on what she'd already experienced. We then tested her predictions. This one came very close! Then I left her to her own devices to play and experiment as she wished. She managed to get a cardboard tube from somewhere and put it to good use. And then there was plenty of imaginative play as well. 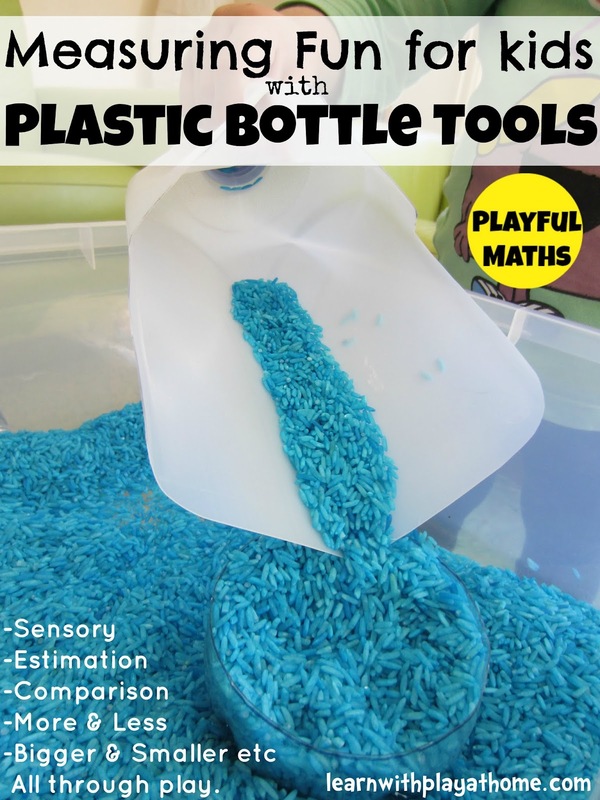 - Simplify this activity by just giving them the plastic bottle measuring tools to play and experiment with. Try some basic counting by giving instructions like, 1 scoop of rice. 2 spoonfulls of rice. etc. 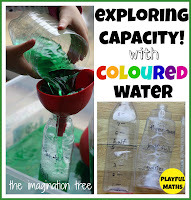 Have the child make their own plastic bottle measuring tools. What other tools can they come up with? Graph the results of your findings. 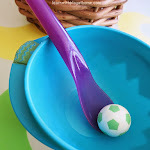 Were there more cups that held less or more than the measuring cup? Make your own measuring cups of varying amounts. eg 1/2 or 1/4 cup measurements. 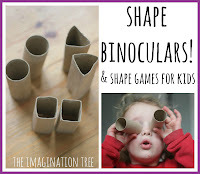 - Allow children the freedom to explore and investigate on their own. They will often come up with ideas or experiences that we would not have thought of. 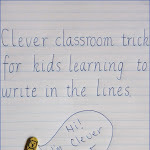 It also gives them the opportunity to make these discoveries and learn new skills themselves without being shown them. - Did you catch our other 2 maths activities using Plastic Bottles? This time using Bottle Tops. Debs, how are the edges on the tools? I wondered wether I'd need to cover them with duct tape or something but you don't seem to have done that so I'm guessing they aren't too sharp? (bearing in mind I am a bit useless at cutting neatly) I do so love the milk jug scoop. WOW Debs!! SO much fun and learning going on here. Who'd have thought it from the humble plastic bottle eh?! I love all your extensions and variations too. 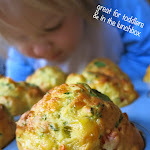 I am going to do this with my son as soon as possible! He is going to love it and he actually just saved a milk jug! 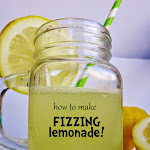 What great ways to recycle bottles! I love all the tools you made. So much fun to be had, and I really like the extension ideas. The rice is such a beautiful color, too! Thanks for sharing this with us. You recycling guru you! Off to pin to my Recycling for Kids board. Love it!